The term game improvement irons refers to a set of irons dedicated towards performance and versatility compared with the traditional iron. Features include a cavity in the club head, lower center of gravity and premium cast material. The best game improvement irons are the Callaway XR OS Individual Set that is much easier to hit with a low center of gravity that is much lower and further back. Irons are notorious for being the most expensive part of your golfing equipment but are a vital club that needs careful consideration in order to improve your game. Game improvement irons are easier to use and forgiving, which means mid handicapped golfers are able to launch the ball consistently. There is even terminology for those that are playing from a high handicap and these are called Super Game Improvement Irons. The style of the iron, shaft and clubhead design is all different compared to the traditional irons. These small changes can make a huge improvement to your game, hence the terminology used to describe them. High to mid handicapped golfers looking to upgrade from their beginner golf clubs can see huge benefits. Below is a list of the best game improvement irons with cavity back design, low center of gravity and more features. The XR OS Iron by Callaway is one of the most forgiving irons with wide soles that are easier to achieve further distances consistently. The XR irons also have a low center of gravity and sit further back compared with traditional alternatives that make getting the ball in the air easier too. With a range of custom setups from hand orientation, shaft material and flex, there are irons for every requirement. You are also able to purchase each iron separately, which is great for those on a budget or only wanting a few irons. The patented 360 technology used by Callaway ensure that the head acts as a spring when hitting the ball, which results in an increased ball speed. Overall, the Callaway XR OS Irons are easier to hit and more forgiving, which is the perfect recipe for the best game improvement irons. 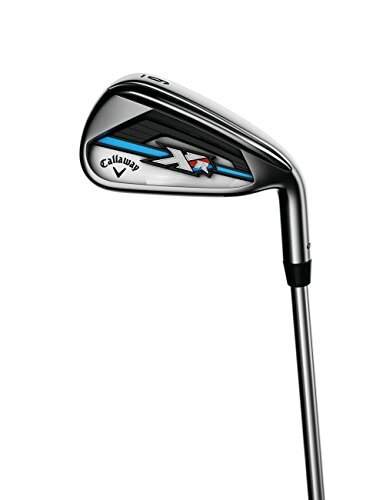 Considering they are made by Callaway, they offer very good value compared to the traditional Callaway irons. 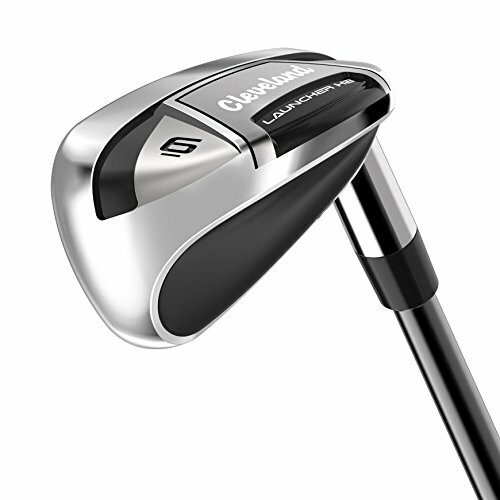 The Cleveland Launcher HB is an attractive set of irons with a hollow construction and high strength steel face. The short irons look like a normal game improvement iron but as you move towards the longer iron, they look like a traditional hybrid. Progressive design is the key to what makes the Cleveland Launcher HB iron set one of the best irons available. The shorter irons are ideal for scoring shots whereas the hybrid longer irons provide the much-needed distance. The hollowness in the design enables weight to successfully redistributed low and deep in the club head as well as the perimeter. This result in maximum forgiveness to improve your iron play instantly whether you are a long to mid handicapper. Overall, the Cleveland Launcher HB is the best cheap game improvement irons that provide a progressive design for optimum launches. Forgiveness and distance are two factors you will notice straightaway whilst using this iron set. From one premium golfing brand to another, the M series by TaylorMade are highly rated, with the later M4 set being over-engineered. They are game improvement irons for mid handicappers who require help finding the green more often. 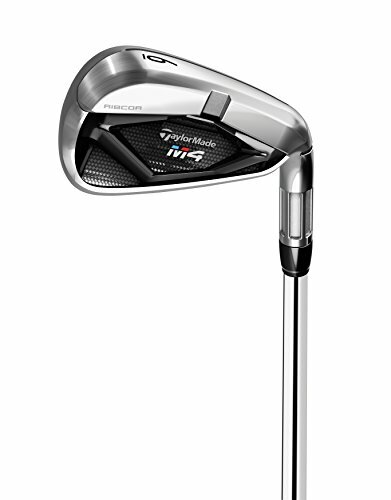 The M4 irons are direct replacements for the older M2 irons that were also for game improvement. In terms of the differences, the appearance it pretty much the same but the inside uses the Ribcor technology. In short, it is two supporting beams that harden the clubhead to add more speed to the shot. In terms of the qualities that the M4 irons bring to game improvement, it is the distance from the strengthened design. Test have proven that these are the best irons for a slow swing speed with a low spin speed from the shot. If you thought the other irons were expensive, you may want to skip the Titleist alternative. They are a top rated game improvement iron but very pricey set of irons to purchase. The AP1 series are known for being the longest and most forgiving iron thanks to its cavity mid and short irons. Extensive research and development has gone into these irons with aspects such as turf interaction put into consideration. They are part of the AP series, where the AP1, AP2 and AP3 are all highly rated but for different reasons. The AP1’s, however, are designed to be the most forgiving irons you can buy. 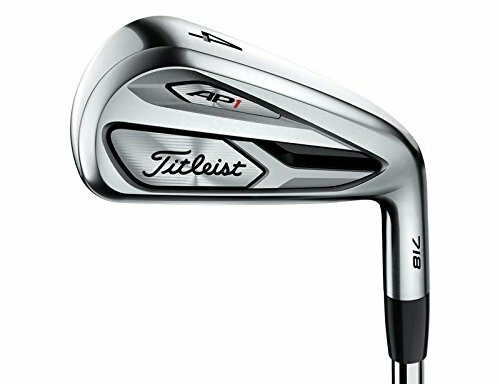 Although the 718 AP1 by Titleist are very expensive, they have been designed with no regards towards price. They are one of the best game improvement irons to buy but the cost does put them out of reach for the majority of golfers. 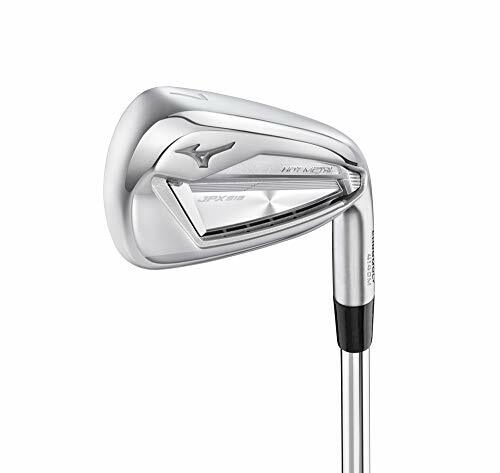 The Mizuno is affordable game improvement irons made from a material known as Chromoly 4140M that provides speed and bend-ability to the iron. They are ideal for those playing from a mid to high handicap that requires more distance and forgiveness. Mizuno has always targeted the budget category in terms of clubs but have always maintained a reputation for high quality. Overall, the Mizuno JPX 900 Hot Metal-Complete is a cheap game improvement iron set perfect for high handicappers. Compared with the other irons in the article, you are able to save a lot more money for investing in other clubs. The words that are the golfers equivalent of nirvana are straighter, farther, and higher. Sadly, many golfers are unable to get to that level of nirvana on their own. These golfers are breaking 90, but are still, lacking the confidence of all clubs longer than a 6 iron. They are also very likely to be the ones you choose yards over control, so long as it is in a conventional form. In the market today are some great game improvement irons that provide higher levels of performance and versatility, but still, provide golfers with the distance that they relish in. These game-improvement irons do what they do through thin faces that bend to give you distance. They are often made through various materials, including tungsten weights that are vital in positioning the center of gravity to give a boost to the ball. All of these needs to be done through an iron that does not leave your ears ringing nor does it make you shudder after impact. The irons are most likely the most expensive items in a golfers kit, so it’s important to do your research before making the final purchase decision. That extra bit of time can truly help you get the best bang for your buck. These game improvement irons are seen to be as the more forgiving irons, which is why they are quite popular among middle to high handicappers. As we have outlined some of the best game improvement irons in the market today above, we’ll be going through our criteria while we researched these great products. Through the information below, you’ll have all the necessary knowledge that you need to purchase the game improvement iron for your specific needs. If you’re a novice golfer, chances are that you went into shock when you started to research everything that you’ll need to get your kit started. Not only do you have to get various products, such as technology, shoes, golf accessories, hats, and clothing, but you also have to get anywhere between nine and fourteen golf clubs. 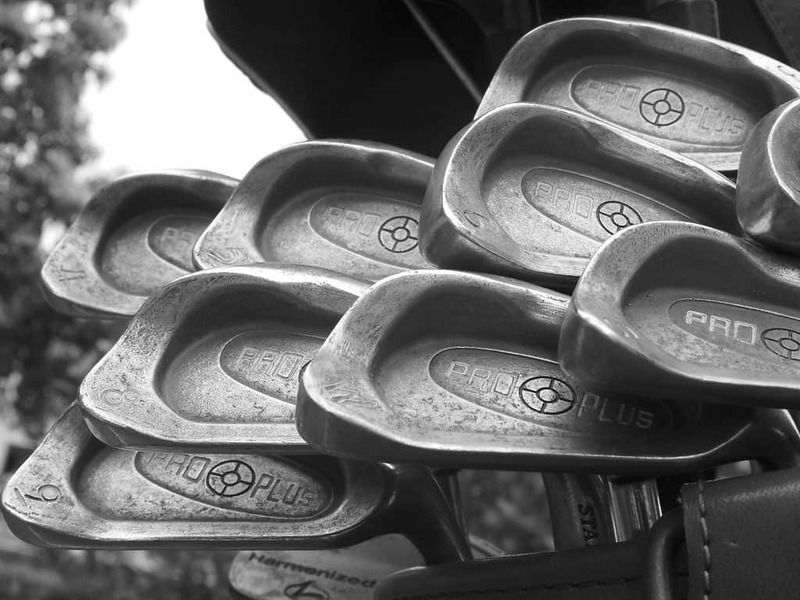 Of those nine to fourteen golf clubs, chances are that the majority of your clubs are irons. Within those irons, there are various differences, particularly in their heads, which can be made by the process of casting, forging, or titanium. Roughly around 90% of golf clubs are made through the process of casting. The process starts by pouring molten metal into a premade golf club head mold. Nature allows manufacturers to add a bit more creativity to their designs. You might often hear it being explained as 17-4 stainless steel, which actually means that it is made up for 17% chromium and 4% nickel. The 17-4 is actually very hard, durable, and strong and is not likely to corrode easily. Another often cast that is often used is the 431 stainless steel mold, which is in fact 25% softer than the 17-4 mold. This one is claimed to have a marginally better feel. However, it should be remembered that the harder the face is, the faster the ball will come off of it. Thus, showing that everything will be a comprise depending on what you’re looking for. The process of forging starts with a piece of soft steel, which is stamped or beaten into shape. The steel that is used for forged irons contains a higher carbon content, which means it is softer and is said to offer a better feel. This process is more labour intensive and also has higher costs associated with it. When we talk about the ‘feel’ of a club head, we are referring to the ‘feeling’ of knowing if a ball hits off center. Golfers aim to hit the ball from the middle of the clubface to reach the desired trajectory and achieve the longest distance. The larger headed irons are quite forgiving in those cases as they manage to hit the ball straight even if it does hit the heel or toe. For the average golf player, these larger headed irons are great as their mindset often leans towards ‘it doesn’t matter how it goes straight, as long as it does’. Professional or more advanced golfers might need or want to know whether they have hit the ball from the middle, which is why they might make slight adjustments until they do. However, regardless of whether the club head has been cast or forged, if a club is difficult to hit with – then it is because of the shape of the head. These iron heads use the same material that is used on the outer section of the Space Shuttle, which means that it is as strong as steel, but only half of the weight. This type of process allows manufacturers to build larger iron heads that have a bigger ‘sweet’ spot while avoiding adding excess weight to the club. The majority of drivers nowadays are made of titanium instead of steel. The ultralight titanium combined with a quite heavy metal, such as Tungsten, allows designers to provide golfers with clubs that have greater resistance to twisting from shots that are off center. They are very forgiving, very easy to hit, very light, but also very expensive. As with most things, steel and graphite both have their advantages and disadvantages. In terms of your fairway wood and driver, they almost always have graphite shafts. Irons, on the other hand, have been split between the two. Beginners and amateurs tend to use graphite-shafted irons, while low handicap and professional golfers use steel shafts. However, this is no longer the case in recent times. The biggest difference between steel and graphite shafts is their weight. Graphite shafts tend to be lighter than the steel shafts. But, as mentioned before, they do each have their advantages. Steel Shafts impart a higher number of vibrations to the player’s hands. This is often a desirable trait for professional and low handicap golfers because it often allows them to know what they did right or wrong by the feel of the impact and swing. These are heavier than the graphite shafts, which might be great for golfers that have a high swing speed. These are also less expensive than the graphite shafts. Graphite shafts, on the other hand, are lighter, which means that there is an increase in distance and swing speed. For golfers with a slower swing, the lighter shafts are more ideal than heavier ones. For golfers with shoulder, arm, or hand problem, graphite shafts are the ideal choice as the vibrations are less painful and muffled on mishits. So, how can you pick which one is for you? Well, how about their drawbacks. A new set of graphite-shafted irons will cost you at least a hundred more than steel shafted irons. The other issue regards durability and consistency. In comparison to graphite, steel is less complication to manufacture while also being more durable. It has been used for centuries as the main material for shafts. Graphite’s behaviour can be a bit erratic at times for no reason. Another factor is the ‘feel’. Graphite withstands more vibration, but this takes the feedback away from the golfer after the swing. Steel has a more immediate, harsher, and crispier feedback, which might not be necessary for golf irons for beginners, but might be for golf irons for mid handicappers. Regardless of these points, it really is a trial and error in terms of what works best for you as well as what your priorities are where golf is concerned. If you’re looking for golf irons for mid handicapper, then maybe a steel shaft is the better option. Similarly, if you are looking for irons for high handicap or beginners, then maybe graphite will be fine for you. Graphite manufacturing is getting better every day, with some professional golfers liking the feel of it better than that of steel. The swing ease and weight can make a big difference when you’re out golfing. 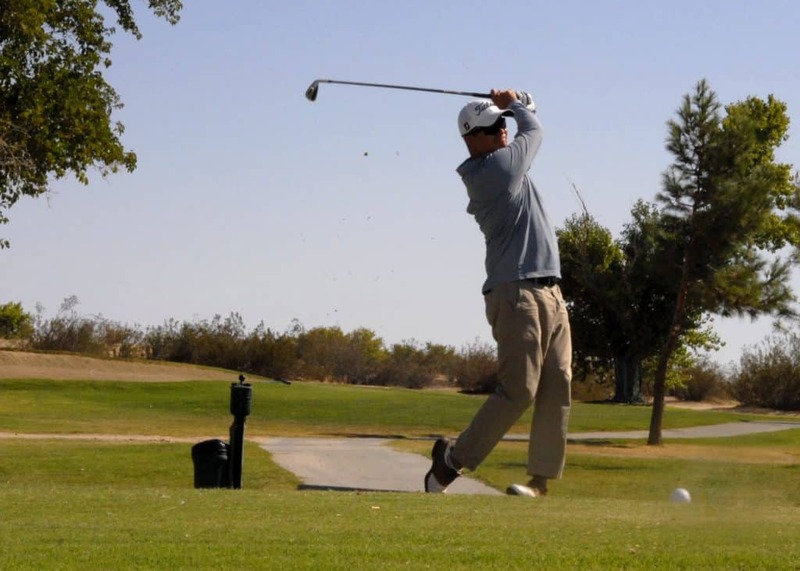 The ‘flex’ of a golf club refers to the ability for your club to bend when there is some force applied to it through a swing, which can either be jerky, smooth, slow or fast. The shaft flex impacts the distance, trajectory, and the accuracy of your shot. A stiffer shaft flex will offer more accuracy for those that have a faster swing speed, but lesser distance for those with a slower swing speed. The opposite is true for light shaft flexes, and the regular shaft flexes are for the rest. For taller, shorter, or those with unusually steep or shallow swings, it might be beneficial to get the angle of your iron measured and checked by professional golfers. If the head is too flat, then it might drag on the grass. If the head is too upright, then shots will be pulled to the left. Flatter heads might suit shorter golfers, while slightly upright heads might suit taller golfers. Iron weighting, also known as perimeter weighting, just refers to a hollowed out portion of the muscle back iron that has a spare metal placed around it. This adds more weight to the club, which then adds more weight to the ball for those shots that went off center. If you mishit, golfers can actually feel a pain that shoots upwards. An offset hosel basically refers to the design in club heads where the hosel is positioned to be in front of the head. This shows the face to appear as though it is slightly set back from the club’s neck. The higher the offset, the further back the center of gravity is. The further back the center of gravity is the higher the trajectory. If you have a hard time getting the ball high in the air, a higher offset might help you to increase the height. Offset hosels are one of the most forgiving irons, which reduce hitting fades and encourage draws. A wide sole of an iron helps to lower the center of gravity, which allows more weight to be put behind and under the ball, thus producing a high arching ball flight even on mishits. The extra weight can also improve shots in which the ball hits the ground after you. Unlike a thin sole, which would dig into the earth, the extra weight will help you to bounce off the ground. For beginner golfers, it might be more beneficial to have a really wide sole. For mid handicappers, a moderate wide sole will do. While mid to high handicappers irons should contain up to a 4% iron and have an offset hosel (among other things), they should avoid a few irons. They should avoid any iron that states ‘pro’, ‘players iron’, ‘tour’, ‘blade’, ‘MB’, or ‘muscle back’ within their name. They should not contain two and three irons. They should not have any cavity backs; instead, they should have solid metal on the back. They should not have the majority of the weight behind the small sweet spot. The hosel should not be offset as mid handicappers can shape it both ways. A good game improvement iron should be a mix of a cavity back and a player’s iron. Cavity backs are also known as the super game improvement irons, which are designed to offer you the maximum amount of forgiveness. Players Irons, or Blade Irons, offer you with the maximum amount of shot shaping, control, and responsiveness. The ideal golfer for game improvement irons is those golfers that have a handicap ranging from 5 to 25. 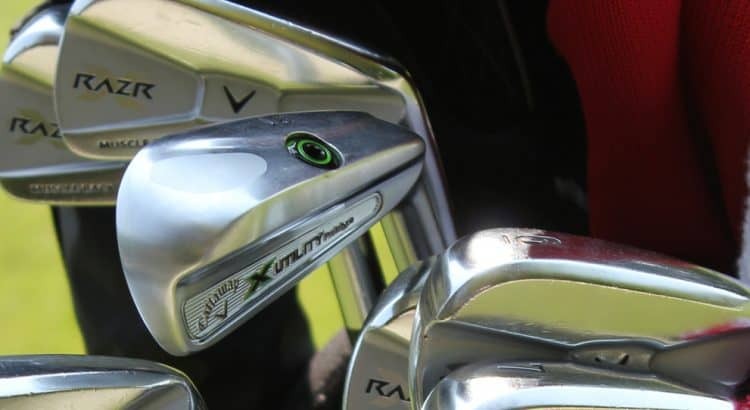 There are a few things that you need to look out for while researching your ideal game improvement iron, including materials, sole size, offset size, and the shaft flexibility.